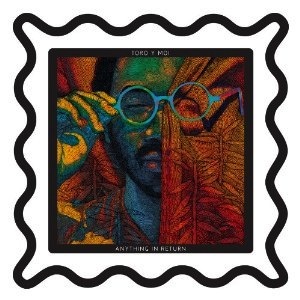 Things liven up around “Studies,” when Toro Y Moi remembers that he is an accomplished one-man disco/folk ensemble. A soft-core boing and some slinky instrumentation herald The Nasty’s late arrival on “High Living.” From there the album gets even cockier, unexpectedly morphing into a modern urban radio playlist. “Day One” is the strongest of these selections, galloping and trundling like a midnight carriage ride while impassioned yelps enthrall an imagined heroine. Anything In Return‘s unabashed chintziness is never dull, but without depth, Bundick’s perpetual identity crisis will soon grow tiresome.